Good, better, best – if only it were that easy when choosing sales and marketing software. Automating sales and marketing requires many considerations like features, price, usability and support. It can be tough to compare products apples to apples. Some solutions are stand alone-for instance, you may need a technical resource to integrate a marketing automation platform with a separate CRM system. Others package marketing automation and CRM all in one. So, if you’re evaluating sales and marketing software, it’s going to be difficult to rely on a simple good, better, or best rating. What may be best for a Fortune 500 company won’t be well suited for a small business or solopreneur. Likewise, a B2C business will need a different set of features than B2B. While you’re in research mode, you’ll find that analysts and review sites tend to use a quadrant or grid structure when comparing sales and marketing solutions. This structure can help you find the right intersection of usability, customer satisfaction, and market presence. 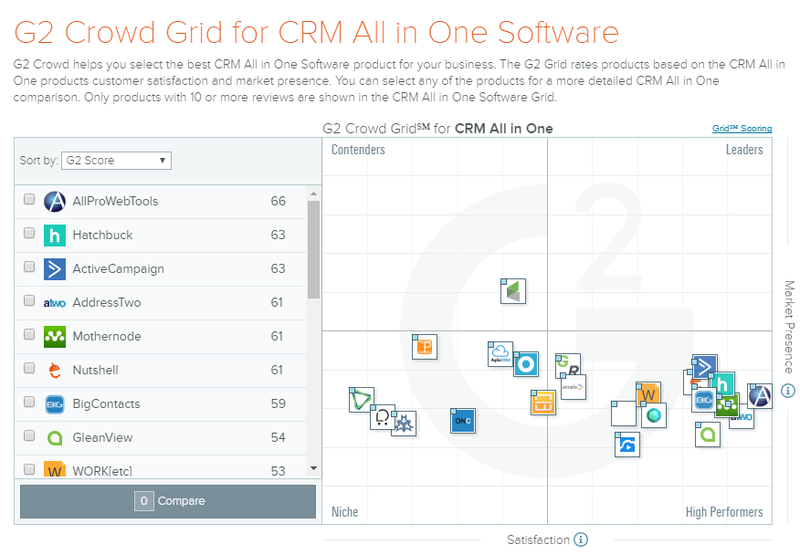 G2Crowd uses their CRM all in one grid, while Gartner publishes their Frontrunners Quadrant. Marketing automation is still the new kid on the block when it comes to sales and marketing technology and new platforms are popping up every day. So how do you choose the right one for you? Do you sell to businesses or to consumers? The distinction between B2B and B2C can make a difference when evaluation sales and marketing platforms. A B2C business might require an ecommerce component and the ability to track purchases. A B2B business may need a way to manage and track several relationships at one company and track deals through a sales pipeline. Understanding how you’ll target your audience can help narrow your focus when choosing a platform. There are two routes you can go when it comes to sales and marketing software. You can take a best-of-breed approach and purchase a CRM and marketing automation platform separately and integrate the two. Or, you can choose an all in one CRM that comes with marketing automation out of the box. There are advantages to both options. A lot of it depends on your level of expertise and the resources you have at hand. A small business will probably get all of the functionality they need with an all in one solution – without the expense and headaches of integration. On the other hand, a larger company may need more robust functionality and have the technical resources they need to integrate systems across their organization. 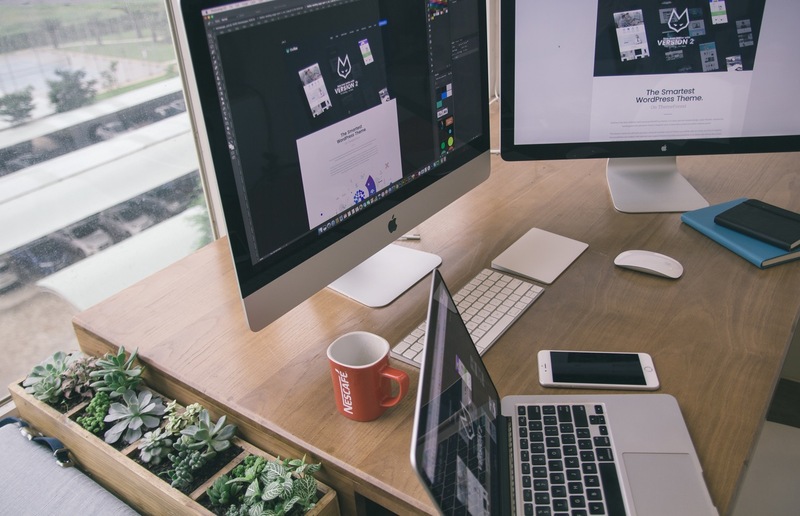 In the search for software, there will always be the must-have features that are non-negotiable for your business, the nice-to-have but not necessary features, and the features that you’ll never touch. Getting the feature set right can be crucial for ease of use and user adoption. You have to balance the functionality you need to grow and scale without taking on a bloated software that’s too difficult to implement and get off the ground. If you’re new to sales and marketing software, here’s a comprehensive list of 33 marketing automation terms to know. User adoption is key for businesses implementing sales and marketing software. Will your sales team be able to easily navigate the CRM? Does your marketing team have the functionality they need to reach out to your audience? User adoption is key to success, so involve end users in the decision-making process. The worst thing that can happen for your business is implementing a new system meant to streamline tasks and boost productivity only to cause employees to find ways to work around the system because it’s too cumbersome to use. Another key to user adoption is getting the right training for your team. Sales and marketing software can be super easy to use, but the strategy around your sales and marketing process can get complicated. Make sure you consider how much training you’ll need. Most vendors provide training to some degree. Some vendors require that you purchase a training package, while others offer free training to get started or offer training packages a la carte. You may decide that the standard training is all your business needs. Or, if you need help with your sales and marketing strategy, you may decide to hire a marketing consultant in addition to investing in software. Once your business is up and running on sales and marketing software, even small issues that crop up can put a glitch in your day. Understanding what type of support your software vendor offers prevents major headaches or misunderstandings should an issue arrive. Do you need phone support? Do you prefer live chat or email correspondence? Is access to support 24/7 necessary, or can you get by with just business hours? Do you need to purchase a support package or upgrade to a higher level of support? Once you’ve gotten your sales and marketing process ironed out and implemented sales and marketing software, you’ll want to keep everything running smoothly. Sales and marketing software has proven to help businesses capture and convert more leads at a lower cost, making it a sound investment for your business. However, unexpected expenses – like the cost of a developer for a custom integration or a hefty startup fee – can quickly through your budget off. At the same time, free or low-cost solutions don’t always come with the support you need to fully realize the benefits of the software. It can quickly become more hassle than it’s worth when you discover you don’t have help with your sales and marketing strategy or that a feature set doesn’t work as you expected it to. It’s all a balancing act – features, pricing and support major categories to consider when choosing marketing automation software for your small business.